“And Mordecai told them to answer Esther: ‘Do not think in your heart that you will escape in the king’s palace any more than all the other Jews. For if you remain completely silent at this time, relief and deliverance will arise for the Jews from another place, but you and your father’s house will perish. Yet who knows whether you have come to the kingdom for such a time as this? Then Esther told them to reply to Mordecai: ‘Go, gather all the Jews who are present in Shushan, and fast for me; neither eat nor drink for three days, night or day. My maids and I will fast likewise. And so I will go to the king, which is against the law; and if I perish, I perish! '” (Esther 4:13-16). It has been said that we haven’t started living until we have something to die for. Even though we are to believe God for protection and victory, we still must “bottom line” our faith and say with Esther, “If I perish, I perish.” It is a spuernatural mindset that propels us to take the necessary risks for change and breakthrough to occur. We don’t fully know why we are alive. For now we see in a glass dimly, and like Esther did, we are preparing ourselves for the future to the best of our understanding. But also like Esther, we will have unexpected events develop that will present a whole new set of cirucmstances for us to respond to. This will be our “for such a time as this” – the main reason we are alive. In order to successfully respond to these kinds of situations, we must be willing to lay it all on the line (whether it be our reputation, our security, our postion or even our very lives). This courage needs to be developed on the smaller things of life long before we are faced with our defining moments. In Jesus’ name, let’s renounce the fear of man, the political spirit in churches, “using” people instead of “building” people, and basing decisions primarily on economic factors. As we do, we will develop the resolve of Esther that will create the potential for each of us to be an extraordinary leader like Abraham Lincoln, Martin Luther King Jr., Winston Churchill or the Apostle Paul. What we believe is ultimately more important than what we do. The course of our lives is set by our deepest core beliefs (mindsets). These mindsets are either a stronghold for God’s purposes or a playhouse for the enemy of our souls. 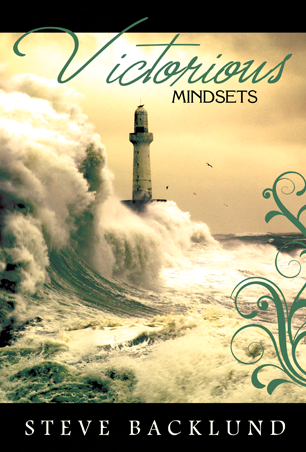 In ‘Victorious Mindsets’ Steve Backlund reveals 50 biblical attitudes that are foundational for those who desire to walk in the freedom and power.